Tell the stories you want to see. We are the people that help to define normalcy and culture. It’s a massive responsibility and opportunity. If we want to see more women cinematographers, actors in lead roles, we have to make it happen. Every film you make, push the boundaries of what is normal. Don’t settle for an all male crew, spend a bit more effort to find those women/PoC/#filmdis artists that are hungry for the opportunity. Be the change. Cameo Wood is a filmmaker based in San Francisco, California. Her most recent film “Real Artists” is available on iTunes/Amazon/Seed&Spark right now. She is currently working on her first feature. In 2018 she won the AT&T Film Award for best short film awarded by Ava DuVernay. “Real Artists” won 35 awards, was nominated for dozens more, and enjoyed screenings at over 150 film festivals throughout the world. She produced and co-directed episodes of “The Alternative Guide to Secret Beijing” which was featured on Atlas Obscura. Her first film, “Dukha in Summer,” premiered at the St. Louis Film International Film Festival and was nominated for best short at five others. 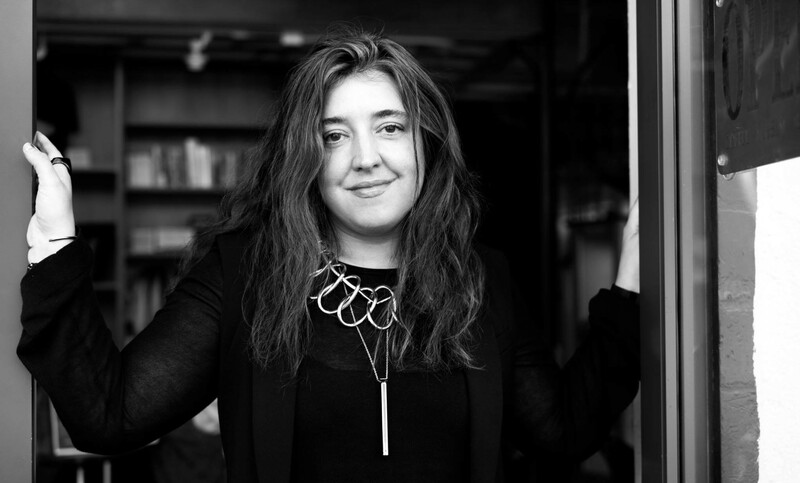 She is a member of Cinefemme, and the co-founder of the SF chapter of Cinefemme’s Dinner with Dames. She co-founded the Coven Film Festival, a showcase of short films made by women, which was held in San Francisco on February. She is a regular speaker at the Camp Reel Stories’ Girls Day Workshop. She has participated in both the inaugural Sundance Co//ab Screenwriting Lab and the Fiction Directing Labs. Cameo has completed Medical Neuroscience at Duke University, Futurism at Stanford University, Witchcraft & Magic at Bennington College, Aerospace Engineering at the University of Alabama, Huntsville, and recently completed courses in Egyptology at University of Pennsylvania. From 1995–2008 she was an engineer at GTE Labs, Sprint, Lucent, and Cisco. In 2008 She founded “Her Majesty’s Secret Beekeeper,” the first urban beekeeping store in America. Thank you so much for doing this with us! Can you tell us a story about what brought you to this specific career path? Thank you for asking me to be a part of this amazing series. It is truly my privilege. As a kid, I always loved films and learning from them. I only owned one film from the age of five until around 12 — Amadeus. I watched that film nearly every day for all of those years. I learned a lot from it. I was lucky that my dad decided to open a video store when I was 12, so I was able to watch hundreds of films during my formative years. During this time, I was also a founding member of my high school’s syndicated television show, This Week at Monument Mountain. I made weekly 5–10 minute segments, and was a camera operator every week during our studio recording of the news desk. I would also regularly edit the segments, as well as the studio recordings. This taught be very early on how to piece together basic stories, and how all the elements of filmmaking came together. in 2012 or so, I joined a San Francisco filmmaking cooperative called “Scary Cow,” and began helping other people make films. I learned so much from this — I learned about our local community, the film-specific jobs on the set, and I was able to make friends and alliances. I began to gather my filmmaking tribe. Can you share the most interesting story that happened to you since you began your career? One of my first films was a solo documentary that I shot in northern Mongolia amongst the Dukha people. I was fascinated with some of the images I’d seen of them in magazines like Vogue. These people were known for their animist relationship with reindeer, and ride them during the cold winter months. What I expected was the western romantic idea of indigenous people, with handmade clothing, tools, and ways of life. Instead I found a people with satellite dishes next to their pyramidal tents playing Korean soaps, all the children wearing crocs and t-shirts from china and France, and a culture fragmented and lost because as nomads, they were no longer able to communicate with other people that shared their language. Their old ways were on the precipice of disappearing, and their old languages only spoken by grandmothers and to their dogs. The costumes I had seen in photos were only worn for the visiting photographers and documentarians. They had learned performative culture, and it was fascinating to see them at home and at rest. Can you share a story about the funniest mistake you made when you were first starting? Can you tell us what lesson you learned from that? Oh gosh! This is a hard one as I take all my own mistakes so seriously and to heart! I think one of the biggest mistakes I made was showing rough cuts of my first films to my friends. I was surprised when I invited them to my film premiere after the VFX were done, and they didn’t feel like it was urgent to come because they had already seen a rough cut! I learned not to show my work until it was done, no matter how tempting it might seem. Also, my films are always better on my big screen. Can you describe how you are helping to make popular culture more representative of the US population? I am working to amplify underrepresented voices in three ways. First, I founded an annual film festival, COVEN Film Festival, a showcase of films directed by women with a goal of presenting 50% of all of our films directed by PoC, LGBTQ, and directors with disabilities. 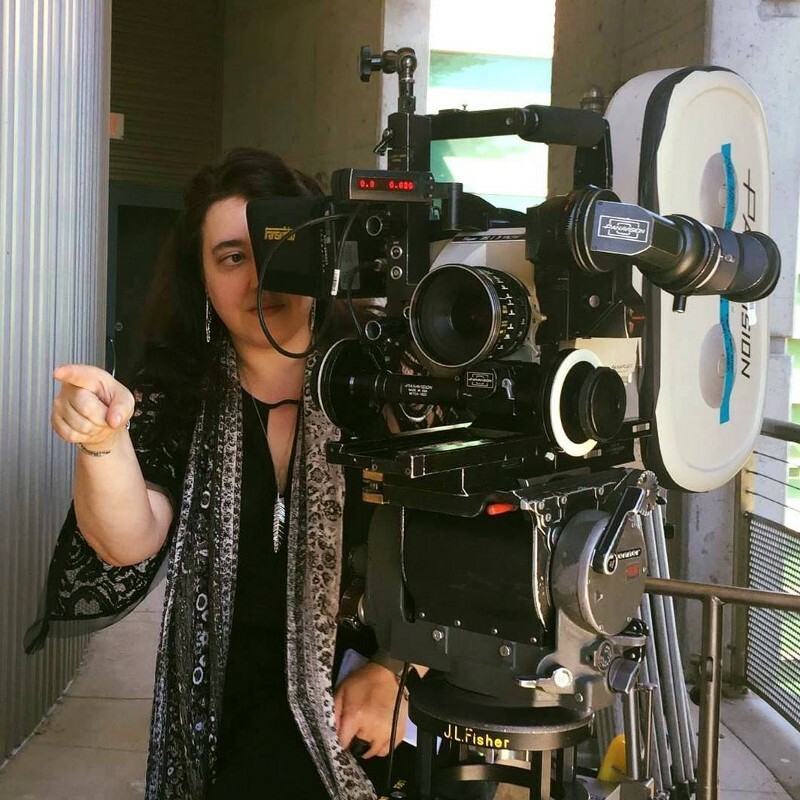 Second, I am the co-founder of the San Francisco Cinefemme regular event, Dinner with Dames, a monthly hosted meal that gives 7–14 Bay Area women filmmakers the opportunity to meet filmmaking luminaries and learn more about their craft and work. We work hard to make sure a majority of each dinner hosts women that are mothers, PoC, LGBTQ, and women over 55. Thirdly and finally, my own films always have casts that are women and PoC, and I always hire a crew that is at least 50% women and I make sure every production has representation from the disabled community. I am always looking to normalize underrepresented voices in film in whatever ways I am able. Wow! Can you tell us a story about a particular individual who was impacted by the work you are doing? I am lucky enough to have met Monica West, an actress, screenwriter, and director. When she first moved to San Mateo from NYC, she wondered how she would find friends with whom to be creative and even more so when she decided to have a baby, which in some ways can be isolating for a while. Through Dinner with Dames and Coven she met a wonderful community of Bay Area filmmakers — people who she is thankful to now call my collaborators and friends. I am fortunate to have found a way of bringing together hard-working, warm and talented people, and I’m so happy to have Monica be a major part of the community I’ve helped to create! Can you share three reasons why it’s really important to have diversity represented in film and television and its potential effects on our culture? It is critical that we lift underrepresented voices in our media for three reasons: We have to normalize all kinds of diversity in leading roles in our films and television shows. Our world is filled with all kinds of people with vastly different experiences, and as people that make decisions on how our culture is communicated and defined, we must present these stories not as issues that happen to others, but as issues that happen to our main characters, so that we may see them regularly and care about them. When a person sees a film with characters of some type of diversity in a scene where it the scene isn’t about their diversity, or where they are not discussing off-screen white cis-hetero characters, we’ve normalized the underrepresented characters and truly made the story about THEM. If we do this often enough, we’ll no longer have a ‘issue’ films, but we’ll just have films. And if we do a truly excellent job, these stories will also be written, edited, and directed by a majority of what we now call underrepresented voices, and we won’t have to spend so much time and effort fighting to get our chance to tell our stories. Can you recommend three things the community/society/the industry can do help address the root of the diversity issues in the entertainment business? Watch and support films during opening weekend that are made by underrepresented voices. That includes PoC, Women, filmmakers with disabilities. Seek them out and amplify their works. Insist that some percent of the projects you support are made by underrepresented voices. If you are in the industry, focus on having 50% of the films made in 2020 are directed by women. Even better, challenge yourself to have 50% of those made by women of color. Hire a women to be your composer. Advocate to hire women as DPs and gaffers. If you don’t know any, go find them and help them join a regular roster of people that are hired for jobs. How do you define “Leadership”? Can you explain what you mean or give an example? Leadership is the ability and willingness to lead by example, and to create opportunities and an industry that you want to inhabit. Every year, I take on two interns and attempt to create the most effective program I can imagine for a young person in college. I give them safe housing, flights, and a decent stipend, and I support them as they make their first film, take a masterclass in filmmaking from a world-class filmmaker, and involve them in every aspect of my own work in filmmaking and in running a film festival. I do my very best to give them the opportunity to learn absolutely everything I wish I had been put into a position to learn. This is the best way I know how to embody leadership — to empower others as you’d like to be empowered. What are your “5 things I wish someone told me when I first started” and why. Please share a story or example for each. 1. Never ask permission — get any kind of camera you can, and start creating right away. No one will ask you to make your films, you must make your own films whatever way you can. I made my first film with an iPhone 6 and used iMovie, and haven’t looked back. One thing you learn as you begin making films is that while shooting on a fancy camera and using the fancy tools are cool, it is much more cool to finish projects and to share them. And no one will give you permission to do this. You just have to do it yourself. 2. Finding your audience is great, but first, make your films for yourself. Don’t expect to make a film that makes any money. In the beginning you are exploring your craft and making mistakes. So make your first films early and often. Make your mistakes when the stakes are low. Your first films should. be 1–4 minutes. Then 5–10, then longer and so on. But make sure they are teaching you something about your craft. Make sure you love them. They are love letters to yourself, after all. 3.Filmmaking costs as much as you want it to. Great filmmakers like Ava DuVernay and The Duplass Brothers have a core anecdote behind their breakout hits: They wrote for what they had access to. The Duplass brothers had a puffy couch. Ava had a house to use as a location. They both made amazing films that helped them get their next films made. Sure, you could write a script that costs 20 million to make — but you’d spend 99% of your time trying to make a film instead of making a film. See who and what you have access to, and create a story around that. Have a town that will let you film in a cool graveyard? Have a friend that is a little spooky and wants to do hair and makeup? Know a couple of cool folks that could play some recently dead people? There’s your movie. Go make it. Make what you can, when you can. 4. Be kind, everyone you meet is a person that is part of your filmmaking community. The industry is small. You don’t have to like or agree with everyone, but every single person you are kind to will remember you, and as underrepresented voices, we will all rise together. As you rise, lift as many people up as you can. 5. Tell the stories you want to see. We are the people that help to define normalcy and culture. It’s a massive responsibility and opportunity. If we want to see more women cinematographers, actors in lead roles, we have to make it happen. Every film you make, push the boundaries of what is normal. Don’t settle for an all male crew, spend a bit more effort to find those women/PoC/#filmdis artists that are hungry for the opportunity. Be the change. 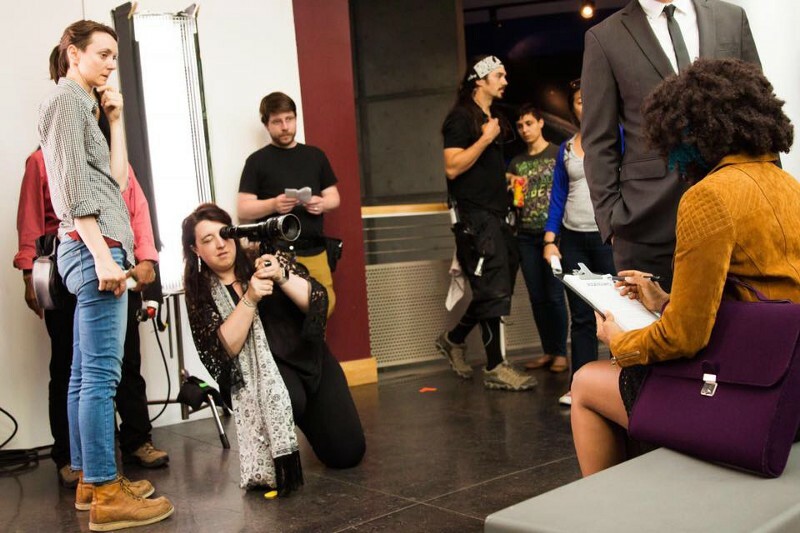 I want a movement of filmmakers that commit to hiring a 50/50 woman/LGBTQ/PoC/Disabled crew and cast for their films. I’ve done it with a tiny bit of extra effort on my projects, and it’s been a massive boon for me. Can you please give us your favorite “Life Lesson Quote”? Can you share how that was relevant to you in your life? If you want something you can have it, but only if you want everything that goes with it, including all the hard work and the despair, and only if you’re willing to risk failure. All types of endeavors have their rewards and their despair. Filmmaking is just another, although our work and success is submitted in a format that is typically fast and easy to digest, and very public. It’s a world of creators that are required to have their emotions close to the surface — psyches that are easily bruised and emotional moments that are exposed for scrutiny. Filmmaking is a special vulnerability, that requires us to accept that failure must always be an option. We must take risks. We must fail. This is part of the art. Right now I am most inspired by the work of Lisa Joy Nolan. Her career of working as a lawyer, then on Pushing Daisies, selling a spec script, and now working on Westworld as a show runner has left me so inspired. More than anything else, I would love to work on a show like Westworld. Of everyone in the world, she is the person I’d most like to meet — just to talk about privacy, artificial intelligence, cognitive neuroscience, the philosophy of mind, and why the genre of ‘Western’ is so unique and timeless. She’s just inspiring and amazing. How can our readers follow you on social media? I’m on twitter as @cameo — although I’m mostly a lurker and only post about film, and I’m on Instagram as @cameowood posting about film sets and my awesome team. This was very meaningful, thank you so much! Yitzi Weiner is a journalist, author, and the founder Authority Magazine. He is also the CEO of Authority Magazine's Thought Leader Incubator, which guides leaders to become prolific content creators. Yitzi is also the author of five books. In 2017, he created the popular, “5 Things I Wish Someone Told Me” series that highlights the empowering lessons learned from the experiences of high-profile entrepreneurs and public figures. This series has inspired a mini-movement among writers, with scores of writers worldwide profiling inspiring people to share their positive, empowering, and actionable stories. A trained Rabbi, Yitzi is also a dynamic educator, teacher and orator. He currently lives in Maryland with his wife and children. Share your comments below. Please read our commenting guidelines before posting. If you have a concern about a comment, report it here.